Do you like Crazy Wheels? Share it with your friends. 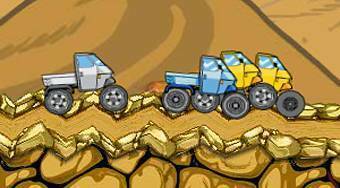 Crazy Wheels - ride with the car around the track, slow down your adversaries by using weapons, do handsprings on jumps and try to reach the finish as first.